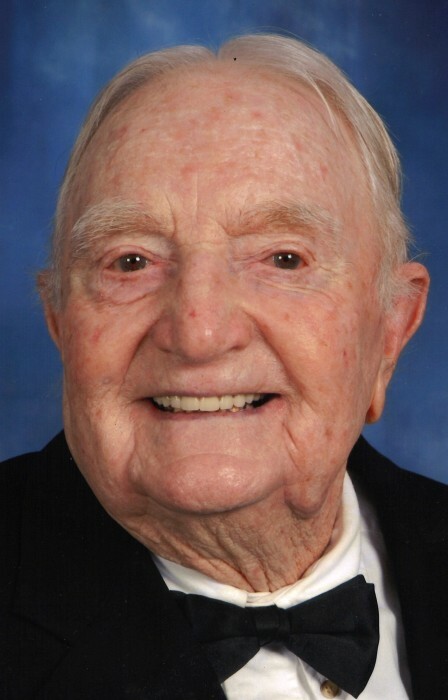 Clinnie Malcolm Laws, age 98, of Lemon Springs, NC, passed away on Friday, August 31, 2018 at his home. Mr. Laws was born in Orange County, NC on October 11, 1919 to the late Kinnie Laws and Hattie Crabtree Laws. In addition to his parents, he was preceded in death by his wife, Geraldine Batchelor; two brothers Cobby Laws, Wayne Laws and two sisters, Pauline Stevens and Pat O’Quinn; one granddaughter, Susan Deal and a son-in-law, Connie Deal. He was once the owner/operator of a hardware and grocery store but retired from Continental Insurance Company as an insurance agent. He was also a farmer-merchant in Lemon Springs for many years. Mr. Laws was a long-time active member of Lemon Springs United Methodist Church and was a graduate of Greenwood High School. Mr. Laws served our country, for six years, in the United States Navy during World War II and the last surviving Pearl Harbor survivor in our area. He is survived by three sons, Clinnie Malcolm Laws, Jr., “Mike” and wife Pattie of Lemon Springs, Dennie Rodney Laws of Swann Station and Kennie Scott Laws and wife, India of Lemon Springs; three daughters, Judy L. Deal of Lemon Springs, Jean L. Sellers and husband, Ronnie of Laurinburg and Patsy L. Richardson and husband, Charles of Lemon Springs; one sister, Lillie Layton of Swann Station; nine grandchildren and twenty great-grandchildren. The family will receive friends on Tuesday, September 4, 2018 at Lemon Springs United Methodist Church from 1:00 PM to 3:00 PM. The funeral service will follow at 3:00 PM with Rev. Kent Miller and Rev. Darrell Harris officiating. Burial will be in the church cemetery. A special thank you to our caregivers, Vera Marks, Dorothy Matthews and Patty Austin and the nurses and staff of Community Home Care and Hospice who are all like family to us.